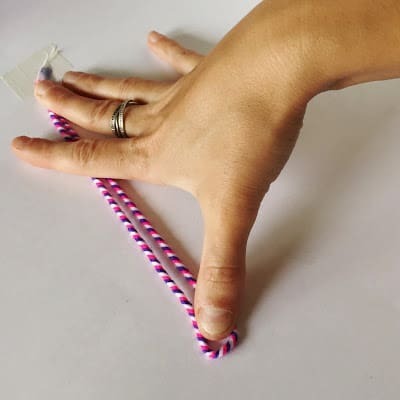 This twisted friendship bracelet can be whipped up in 2 minutes. 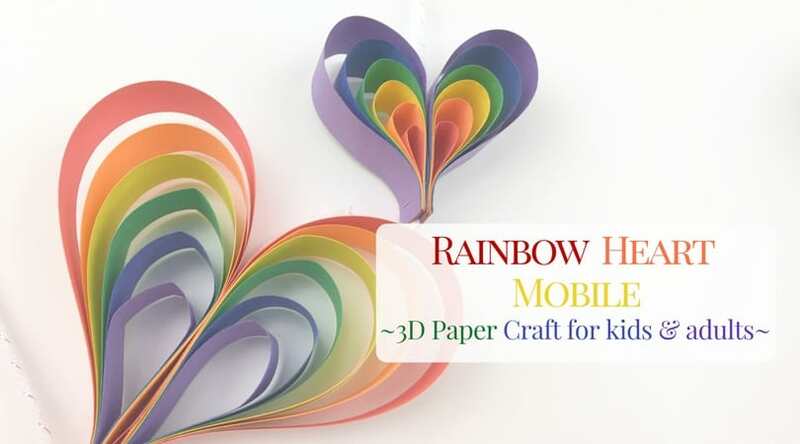 It is just right for younger kids to make and give to all of their friends. 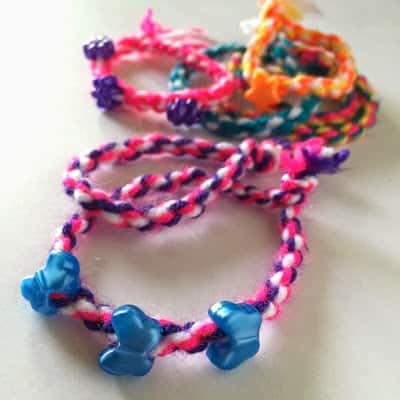 When I was younger I lived with friendship bracelets on. I would wear them on my wrists and ankles. They would bunch up under my tights when I dressed up (mom loved that). I would wear them in the shower, the lake, the pool, you name it they didn’t come off. 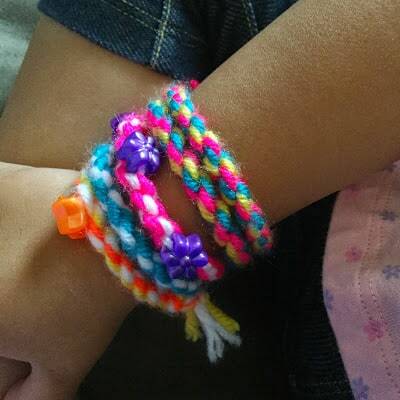 This twisted friendship bracelet has always been my favorite bracelet to make with younger kids. 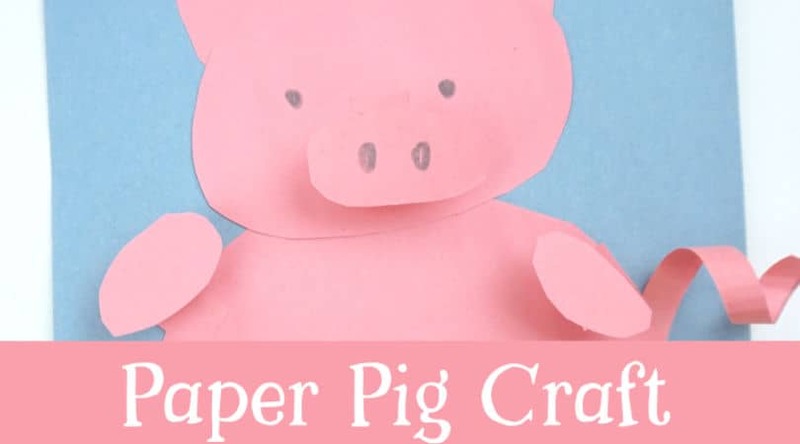 They are simple to master, quick to make, and easy to put on and take off. 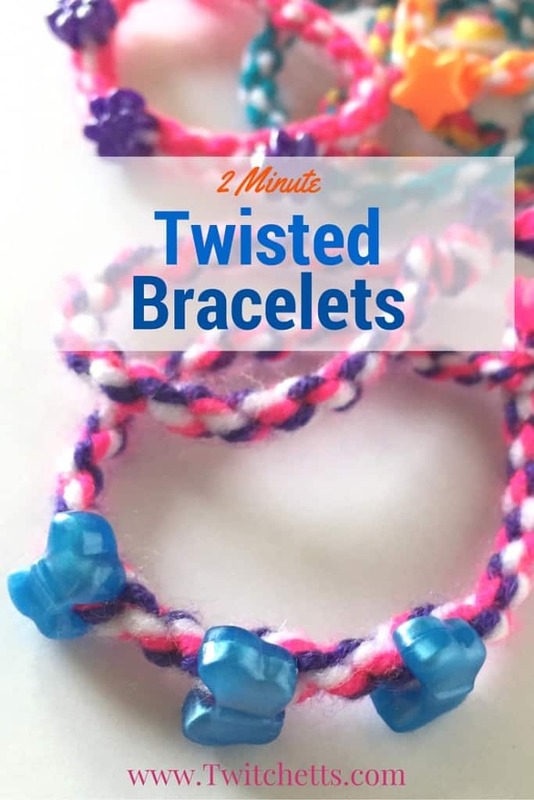 You don’t have to make them this quick, but with practice, this twisted bracelet can be made in under 2 minutes! 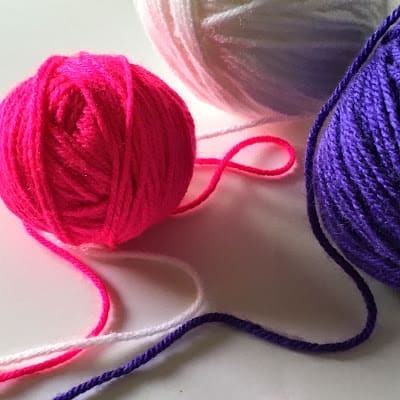 I am using yarn. 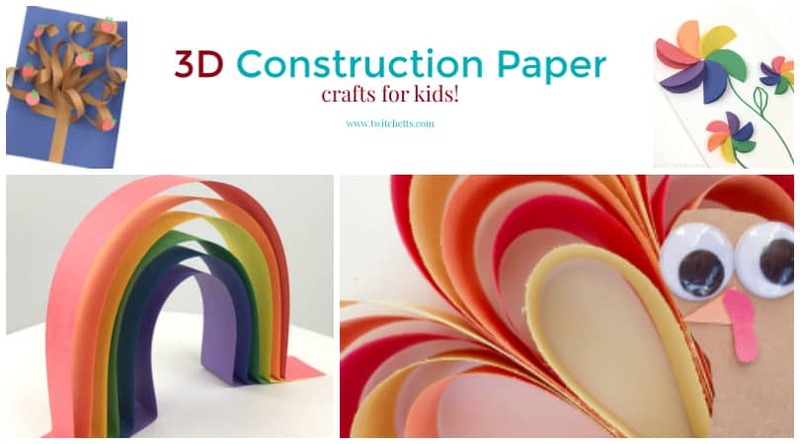 The thickness makes it a lot easier for younger children to work with. 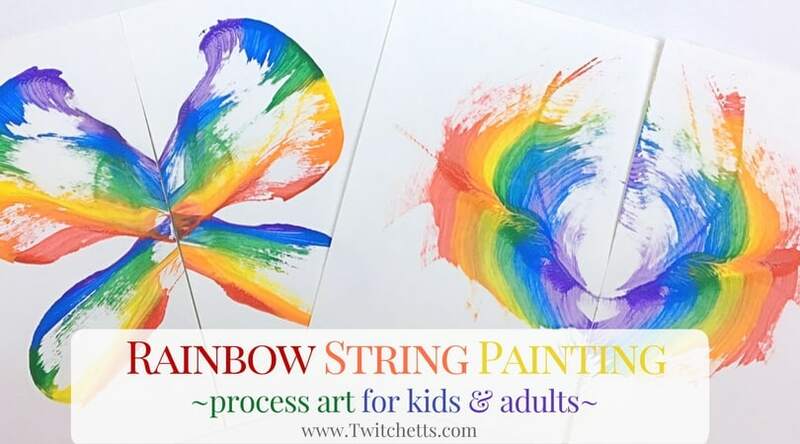 For older kids, this works just as well with embroidery thread. Start by picking out some yarn and beads (optional). 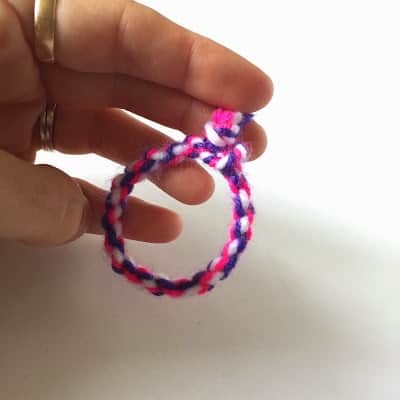 This will probably take you longer than it will take to make your bracelet. 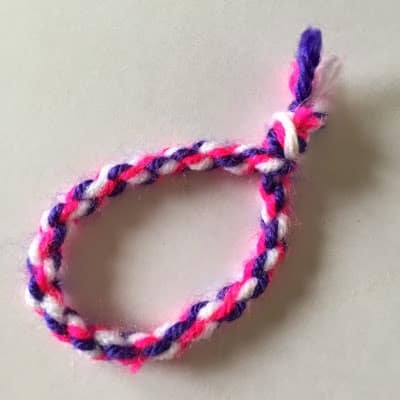 Tie off one end of your yarn. Tape down. Now Twist… Twist… & Twist some more!! 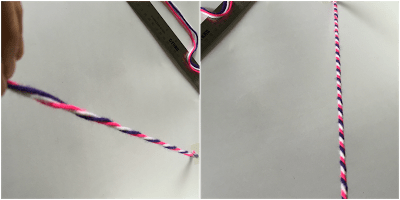 You want to keep twisting until your colors look like horizontal stripes. 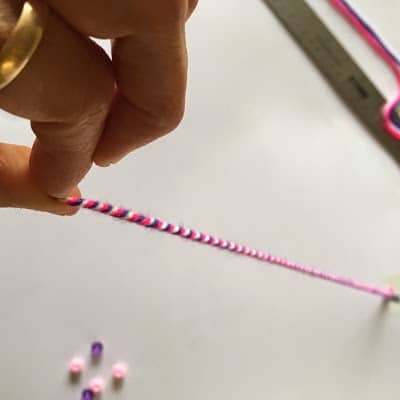 If you want to add beads this is the time to do it. 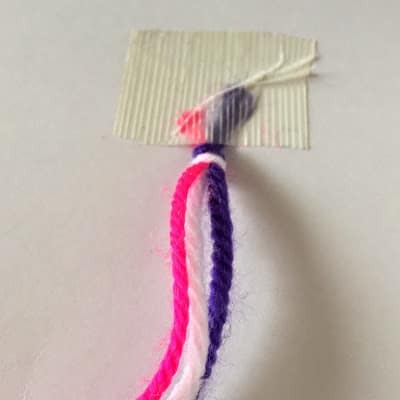 String them along the second half of the string. 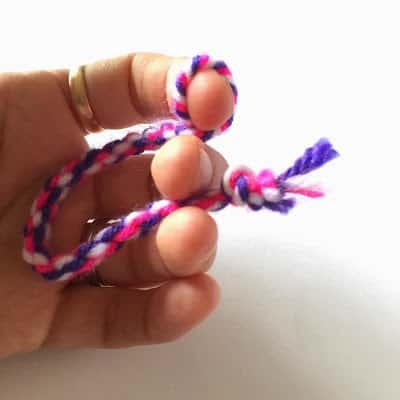 Now, with one finger placed at the middle, fold the string in half. Lightly pinch the top and run your fingers down to straighten it out if it’s lumpy. It will tighten on its own and stay together. 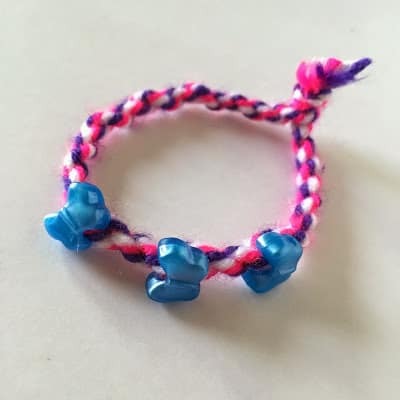 Here is the twisted bracelet with beads. 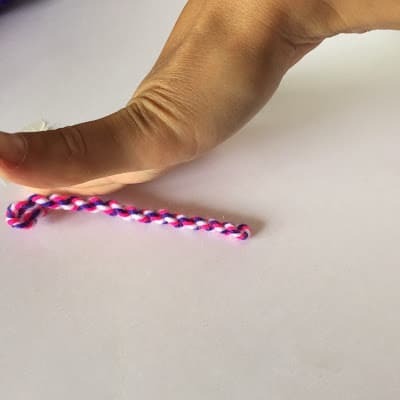 From start to finish I made the twisted friendship bracelet, with beads, in under 2 minutes… 1:49 to be exact!! 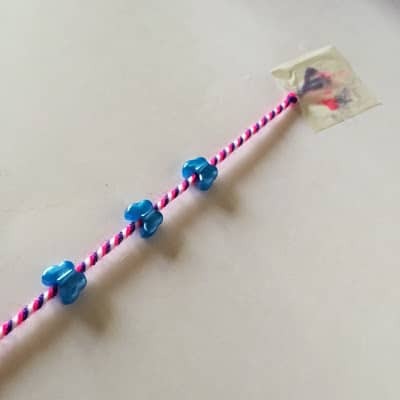 Without beads would be even quicker! 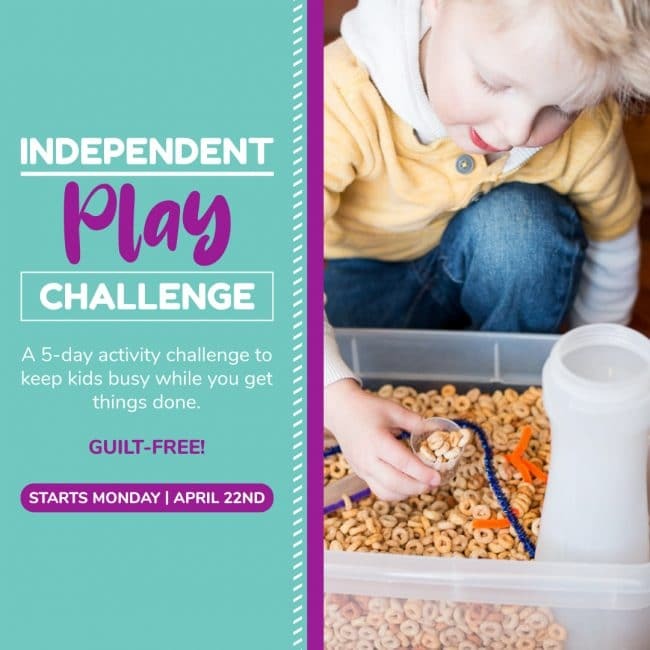 The only part that can get a little tricky for the kiddos is stringing the beads. Since you are putting 3 strands of yarn through, this can be a little hard for them. Getting the yarn a little damp, or making a quick tape needle will help ease this process. I made all of these in one sitting for V.
Since they are so quick to make she has quite a few to pick from.